End time revelations are revealed through the Holy Spirit that enables us to understand the events that must come to pass before the coming of Yahshua. One of the great prophets who was commissioned to declare end time prophecy through that same Spirit was Daniel. The verse that informs us of a covenant that will be confirmed with many for one week is Daniel 9:27. The covenant is to be confirmed unto many, but during the 3 1/2 year Great Tribulation, end time revelations are revealed through Yahshua’s two witnesses. The first part of this week or 3 1/2 years, was fulfilled during the establishment of the New Testament age some two thousand years ago. God who was manifest in the flesh in the appearance of Yahshua did indeed confirm the covenant with the multitudes during His three and a half year miraculous ministry. The two witnesses of Yahshua will confirm the covenant with many during the second part of Daniel’s last week. End time revelations are revealed when the fourth World Kingdom of destruction and deceit known as Mystery Babylon is revealed prior to Yahshua’s second advent and thousand-year reign. Satan’s reign of terror occurs during this 3 1/2 year period of time known as the Great Tribulation, that is not to be confused with the wrath of God. This will prove to be one of the most remarkable confirmations that the end of this present age is at hand. The Beast and the false prophet who are empowered by Satan will seduce most of the world’s inhabitants through lying signs and wonders. The end result of this great deception is eternal damnation. 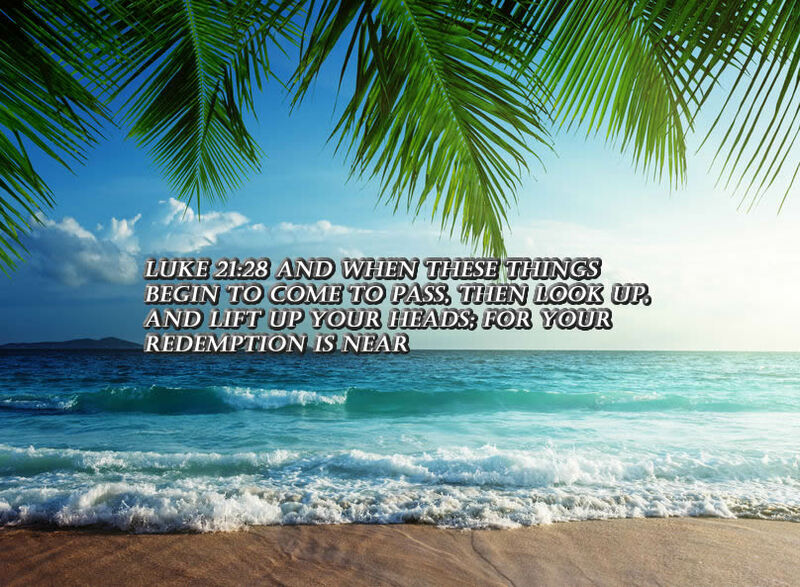 At the same time, the two witnesses will preach of the great redeemer Yahshua the Messiah that will come again with our Salvation (Luke 21:28). The correct interpretation of Daniel 9:27 might just start the process of unraveling the deception in prophecy teaching. Dan 9:27 The confirmation of the covenant will be with many for one week: and in the midst of the week the sacrifice and the oblation will cease, and for the overspreading of abominations desolations, even until the consummation, and that determined shall be poured upon the desolate. Most false teachers in the Christian church claim that this verse is in reference to the anti-christ making a covenant with Israel for seven years. Nothing could be further from the truth. The first half of the seventieth week of Daniel has already been fulfilled through Yahshua the Messiah. He confirmed the New Covenant with many during the three and one-half years of His ministry. The final half of this week is when the conclusion of the end time revelations are revealed in real time. The arrival of the two witnesses will start the final countdown unto the second advent of Yahshua. The mainstream Christian teaching on eschatology, (which is one of their many big boy words) does seem to impress the simple-minded, but their version is not even within the realm of reality. He shall Confirm The Covenant with Many is a study guide that will prove that the so-called Christian enlightenment regarding this end-times prophecy is simply gibberish. The word simple-minded is not meant as a personal attack; this writer was also at one time mindful of the things of this world. To submit unto Yahshua and allow His Spirit to dwell within us, is to undergo an amazing transformation or renewal wherein we are born-again (Rom 12:2). 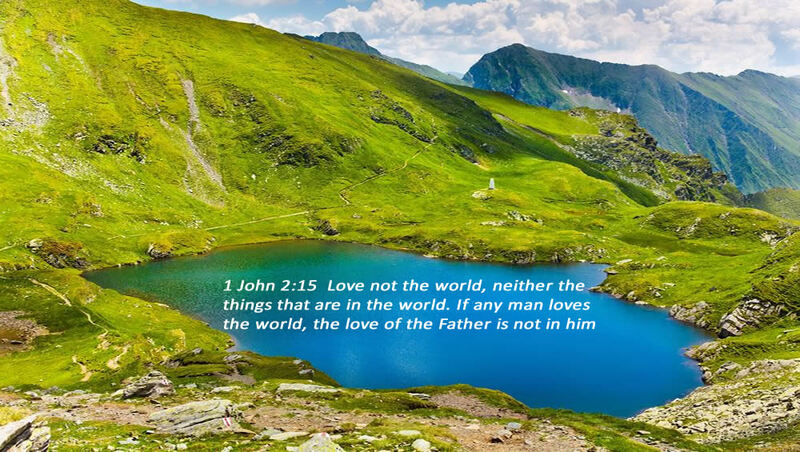 A true believer that is set apart through this Spiritual conversion will no longer love the world, and the fellowship with unrighteousness will be severed (John 12:25, 15:19, 1 John 2:15, 2 Cor 6:14). A true follower of Yahshua will be hated by the world. Come out from among them, even as you separate yourselves from them, saith the Lord, also do not attach yourselves to those who are unclean and I will receive you (2 Cor 6:17). To be hated by all men is a burden that few are willing to partake in. However, Salvation is the reward for enduring these tribulations. The hatred of the true body of Yahshua by mainstream Christianity is also evidence of what separates the chosen from those involved in a religious masquerade. End time revelations are revealed through the Holy Spirit, and these truths will always contradict the commandments and doctrines of men. Those who claim albeit falsely that they are already saved have never experienced the true indwelling of the Holy Spirit. To make the claim of being born-again without any evidence that this transformation has taken place is a criminal act in the eyes of a righteous God. The Word of God is revealed to the faithful followers by the Holy Spirit, enabling them to hear, understand and obey the teachings of Yahshua (Heb 5:9; 2 Thes 1:5-8). It is through the Spirit of truth that Yahshua gives unto his chosen ones, that we are able to step out of darkness into His marvelous light unto everlasting life (1 Peter 2:25; John 8:12; John 4:23). 2 Tim 4:3-4 For the time will come when they will not endure sound doctrine; but after their own lusts shall they heap to themselves teachers, having itching ears, and they shall turn away their ears from the truth, and shall be turned unto fables. The distortions, grievous offenses and utter lies that are accepted as doctrine today, establish clearly the lateness of the hour. The false teachings that are so prevalent are like a blanket of darkness that has almost completely smothered out the light of the true Word of God. The Great Tribulation has a duration of 3 1/2 years, and the deceitful interpretation of this verse is used to feebly justify a seven-year tribulation period. Yahshua caused the sacrifices to cease, so there will not be a Jewish temple with the old ordinances becoming reinstated. Yahshua was the one who caused the sacrifices to cease, as he was the final sacrifice. In the midst of the week, or after his three and a half year ministry, He sacrificed Himself for us. Heb 10:5-6 Wherefore when Christ cometh into the world, he saith, Sacrifice and offering thou wouldest not, but a body hast thou prepared me: In burnt offerings and sacrifices for sin thou hast had no pleasure. The statement, he as god sits in the Temple of god, is part of a verse that is one of the most misused and misunderstood in relation to both Prophecy and the Christian Identity. End time revelations reveal the gross misrepresentation of this verse that is used to propagate the false theory of a rebuilt Jewish temple in the last days. There are actually two main verses used completely out of context to establish this false teaching. A Covenant that the Anti-Christ makes with the Jews (Dan 9:27). A re-established temple for the Jews (2 Thess 2:3-4). A reinstated sacrificial system (Dan 9:27). Through the Holy Spirit of truth, we can understand and preach the Gospel of Yahshua, directly and correctly. Our faith should not be in the wisdom of men but in the power of God. 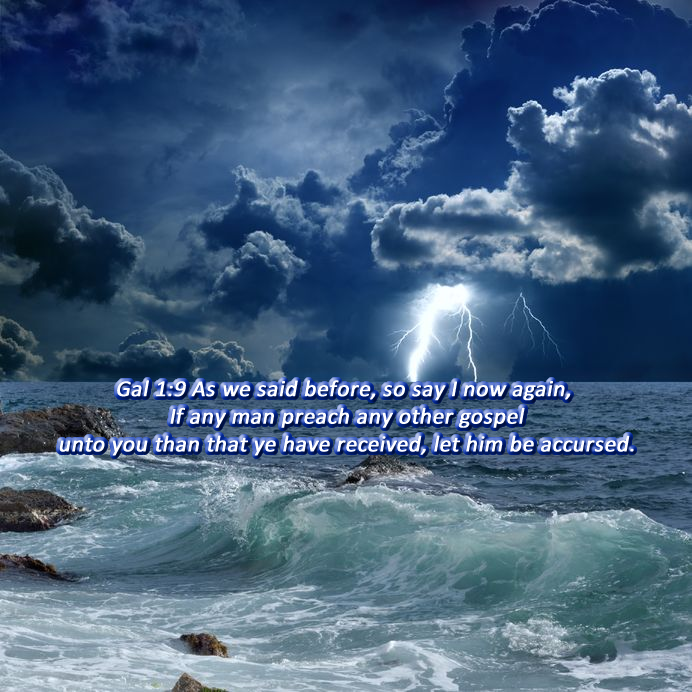 Those who follow after the doctrines of men are in grave danger of not partaking of the promised Redemption ready to be revealed at the conclusion of these end-time events (1 Cor 2:5, Luke 21:28). End time revelations are revealed through Yahshua who came to confirm the covenant with many. Those who continue in His covenant are indeed rightful heirs of the Kingdom (Heb 8:6-10). There were actually two covenants, our Messiah was the fulfillment of the first and He also established the second. 1 Cor 10:1-4 Moreover, brethren, I would not that ye should be ignorant, how that all our fathers were under the cloud, and all passed through the sea; And were all baptized unto Moses in the cloud and in the sea; And did all eat the same spiritual meat; And did all drink the same spiritual drink: for they drank of that spiritual Rock that followed them: and that Rock was Christ. The promise of the coming of the Messiah and His Holy Spirit that would abide in the elect was realized in Yahshua the Savior. He is the Lamb of God who takes away the sins of the world. Gen 12:1-3 Now the Lord had said unto Abram, Get thee out of thy country, and from thy kindred, and from thy father’s house, unto a land that I will shew thee: And I will make of thee a great nation, and I will bless thee, and make thy name great; and thou shalt be a blessing: And I will bless them that bless thee, and curse him that curseth thee: and in thee shall all families of the earth be blessed. This blessing was not given to modern day Israel, but to Abraham, and all those who placed their faith and hope in Yahshua the Messiah. Mathew speaks of the generations that start with Abraham, continue through David and end with Yahshua. The fulfillment of the promise to the true Israel of God is found in part in the following five verses. Part one of the true Israel of God series is available here. The revelation of the true Israel of God is a mystery to most, however, the Word of God clearly identifies the children of God (Gal 3:16, Eph 2:10-16). This family in relationship to Yahshua is also referred to as the bride of Christ. Isaiah 61:10 I will greatly rejoice in the Lord, my soul shall be joyful in my God; for he (will) cloth me with the garments of salvation, (and) cover me with the robe of righteousness, as a bridegroom decketh himself with ornaments, and as a bride adorneth herself with her jewels. The blessings are made to Abraham and all that have faith in and through Christ. End time revelations are revealed through the promises that were made to and through Abraham and his seed, which is Christ (Gal 3:14-16). Christ has redeemed all true believers from the curse of the Old Law. This includes many who faithfully accepted Him as the Messiah during his first advent in Israel. Through His death, burial and Resurrection all that would become the Israel of God throughout the world would one day also receive Redemption from the flesh at his second advent. End time revelations are revealed as well, by understanding that according to Christ there is no difference between the Judeans or the Greeks. What is necessary to realize is that only the faithful in Christ are the Israel of God (Rom 10:12). The messages listed below that contain detailed study guides are now available at christiantruthproject.com click here for the link. End time revelations are revealed by understanding that the Old Testament Law has been replaced by the New Testament Covenant of Yahshua. As a result of His death and resurrection, true Spirit-filled believers understand that they are not under the Old Testament Law. The Old Testament prophecies are fulfilled as they come to pass in the New Testament revelations. The Old Testament Law of Moses was written on tablets of stone, and those who adhered faithfully to these covenant laws were considered the first Israel of God. End time revelations are revealed by understanding that the second covenant is the new the Law of Yahshua. His Holy Spirit would be given to all who were to become members of the Israel of God. Isa 51:7 Hearken unto me, ye that know righteousness, the people in whose heart [is] my law; fear ye not the reproach of men, neither be ye afraid of them. End time revelations are revealed through the prophets like Isaiah that prophesized of the identity of the true followers of God. These people would have the Law of Yahshua written in their hearts and minds. End time revelations are revealed by understanding that the true Israel of God are those that Yahshua bought and paid for on the cross. The second gathering of God’s Israel is a spiritual event dealing with a redeemed people. The word redeemed refers to our Salvation when we are transformed at Yahshua’s second coming. Yahshua has brought forth the good or new wine which is the New Covenant last. The first wine which was the Old Covenant was not nearly as good. Also the first was fulfilled or completed by Him on the Cross and has since vanished. The Old Testament Law was given unto the Hebrews with the commandments and ordinances that were to be received by faith. To attempt to keep these works or letters of the law without faith in God was unprofitable and dead. End time revelations are revealed in Yahshua, who came to give mankind the New Testament law. But without the hearing of faith, the Spirit that He sent would not be received. It is the infilling of the Spirit of Yahshua that allows us to understand His Word. To operate in the flesh with self-righteousness is simply unto dead works. The Old Testament law was a covenant unto the Hebrews; this law had Ten Commandments written on tablets of stone. End time revelations are revealed by understanding that the New Testament is the covenant between Yahshua and all who call upon His name. This New Law is the Spirit of Yahshua unto life. This law has only two primary Commandments, that are written on men’s hearts and in their minds (Heb 10:16; Math 22:37-39). Yahshua, on the cross abolished the law of commandments and the ordinances. As a result, he made it possible for all to enter into the commonwealth of Israel. Romans 8:2-4 For the law of the Spirit of life in the Messiah Yahshua hath made me free from the law of sin and death. For what the law could not do, in that it was weak through the flesh, God sent forth the Son himself in the likeness of sinful flesh, and for sin, condemned sin in the flesh: That the righteousness of the law might be fulfilled in us, who walk not after the flesh, but after the Spirit. Mainstream Christianity has been inundated with fables. One that is quite outrageous is that the church will be raptured away before the Great Tribulation, and many in Israel come to be saved through the 144,000 of the twelve tribes of Israel, that are sealed and left behind. It is taught that those who are sealed witness to the nation of Israel, and that during this time Christians along with the Holy Spirit are removed. Also, according to this fairy tale, the Holy Spirit is known as the restrainer and is removed prior to the arrival of the man of sin (2 Thes 2:7 ESV). 2 Tim 4:3-4 For the time will come when they will not endure sound doctrine; but after their own lusts shall they heap to themselves teachers, having itching ears; And they shall turn away their ears from the truth, and shall be turned unto fables. End time revelations are revealed when we expose the false teachings on Israel, the gathering of the Elect, the Holy Spirit and those who are Sealed. All those in Christ are Sealed with the Holy Spirit of promise. Below is a Strong’s breakdown of this verse. Also, note that God does the sealing so the words we have, can be ignored. The words we have should be replaced with the word those (G 3739). A possible translation then, is that the destruction is not to occur until those who are to be sealed are indeed sealed. The same word for seal, that is used in reference to that of the Living God is also used in 2 Tim 2:19. The foundation of God stands solid, having this seal; the Lord knows all those that are his people. End time revelations are revealed in that, there is nothing to suggest that the 144,000 who are sealed, are on the earth or witness to anyone. In this verse, the 144,000 are not mentioned, but we know that there are believers in Yahshua that are Sealed with the Holy Spirit of promise, and thus protected from the fifth trumpet Judgment (Rev 9:1-11). End time revelations are revealed by understanding that all of God’s Elect are Sealed with the Holy Spirit of promise. This occurs when we are Baptized by the Holy Spirit. This Baptism unto the body of Christ is also referred to as becoming born-again. Becoming a born-again follower of Yahshua is also a reference to this gift given to His Chosen. Uncovering the deception related to the Trinity doctrine will enable the true understanding of the one true God and His servants that He has chosen (John 15:16-19, Mark 13:20, Isa 65:15). Isaiah 43:10 Ye are my witnesses, saith Yahweh, and my servant whom I have chosen: that ye may know and believe me, and understand that I am he: before me there was no God formed, neither shall there be after me. The essential trinity deception messages listed below that contain detailed study guides are now only accessible at christiantruthproject.com click here, for the link. Yahshua is the vine and we are the branches, if we abide not in Him then we bare no fruit and we too will be utterly destroyed (John 15:1-20). End time revelations are revealed by realizing that Christians can not expect to escape from the punishment to be delivered on all those who reject Yahshua’s covenant. To create another gospel and thus a man-made religion is to immerse oneself in self-righteousness, iniquity and deceit. End time revelations are revealed by accepting that Yahshua is the vine and we are the branches. There is no other branch to be recognized, and the ridiculous teaching that modern day Israel is its own branch is simply ludicrous. Matt 23:13 But woe unto you, scribes and Pharisees, hypocrites! for ye shut up the kingdom of heaven against men: for ye neither go in yourselves, neither suffer ye them that are entering to go in. End time revelations are revealed by understanding that the scribes and Pharisees not only would not enter the kingdom themselves, but all that followed their wicked doctrines would be dammed as well. This same spiritual phenomenon still exists today and the mainstream religion of Christianity primarily represents the commandments and doctrines of men. Many still accept these seducing spirits and doctrines of devils. Neither they nor their teachers will enter the kingdom, as it is impossible to do so without the Baptism of the Holy Spirit. There is no other way to inherit the kingdom, and there is no branch that is not in Yahshua. If one can understand the simple message of truth, that Yahshua is the vine and we are the branches, the message in Romans chapter eleven is really not that difficult to understand. End time revelations are revealed by understanding that Yahshua reveals Himself to many. Those that reject Him are destined to be destroyed for their unbelief. These were never considered to be His people. All that did receive Yahshua were given the power to become the sons of God (John 1:12; Rom 8:14; 1 John 23:1-2). End time revelations are revealed as well by the faithful believers who accept Yahshua’s new covenant unto life. Those who are part of His body are redeemed from the law of sin and death (1 John 4:3; Rev 2:9, 3:9; Jer 23:6; Heb 7:14; Rev 5:5, 7:5).